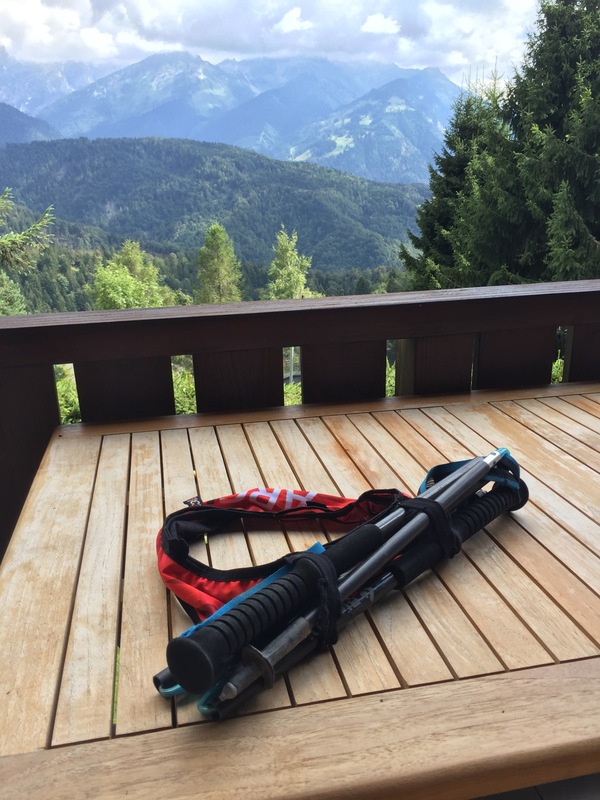 Since taking up running longer distances in mountains, I have embraced the humble trekking pole as an aid to climbing. This post does not seek to debate the merits or methods of running with poles, but rather what on earth to do with them when you are not using them. I could find very little on this in the ultrarunning blogosphere, with most ‘how to’ guides using pole carrying systems on vests/packs. Just carry them. 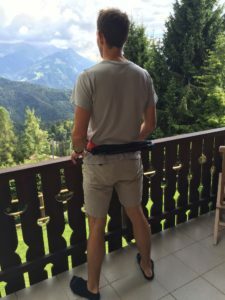 Modern running poles are ridiculously light- mine come in at 290g for the pair, and are no trouble to hold either collapsed or fully extended (at the balance point) in one or two hands. I find myself using this method on undulating terrain when I might need them quickly, but find that when drinking/feeding/dealing with long technical descents they do get in the way. It is also deeply unpleasant to deal with someone else’s waving poles in front of your face. 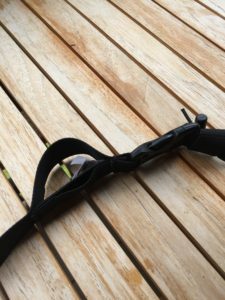 Use a pole carrying system on your pack. Most of these seem to be geared around poles that are not collapsed, so not so good for my Black Diamond Distance Carbon Z’s. 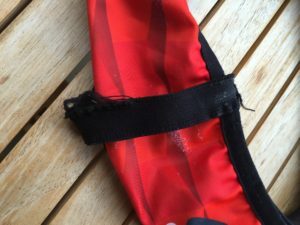 I had already pulled the trigger on the Salomon S-lab Sense vest that does not include a pole system, so I needed other options. 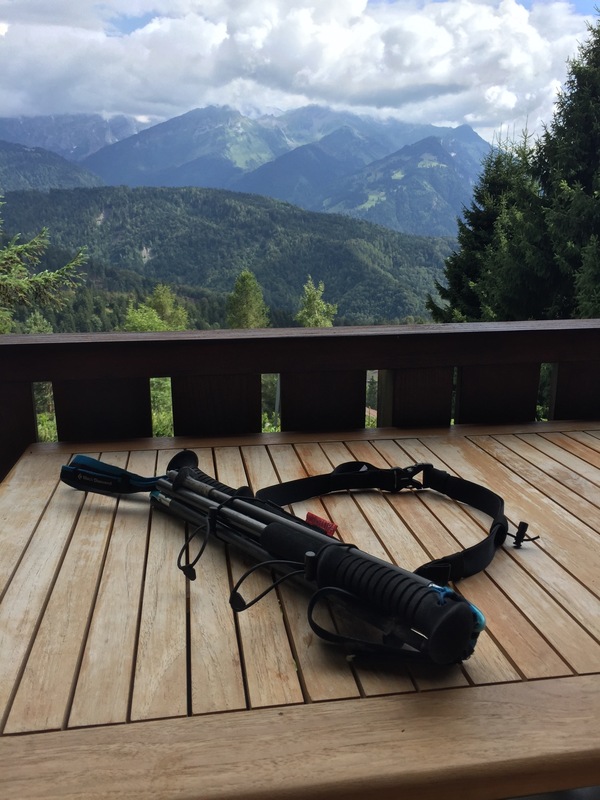 The Compressport Ultrun seems to have a system for collapsed poles and might be interesting- others take note! 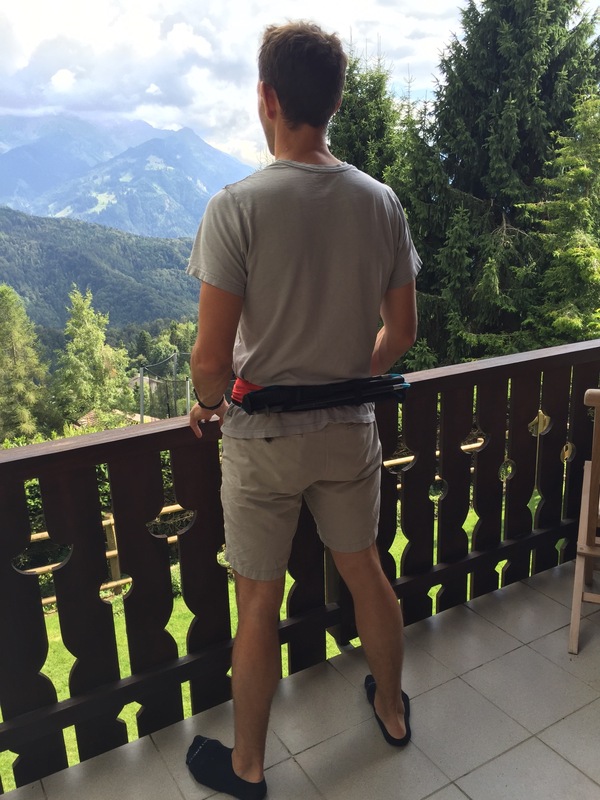 Use a belt with collapsed poles held by loops in the small of your back. For some reason I like the idea of poles being out of the way here yet easy to access on the hoof, so have been trying out two belts with the system- the Archmax Pro, and the Inov-8 Race Ultra. This is a really simple system, with a wide pull on elasticated belt about that contains 6 open pockets, with two elastic loops on the back for the poles. 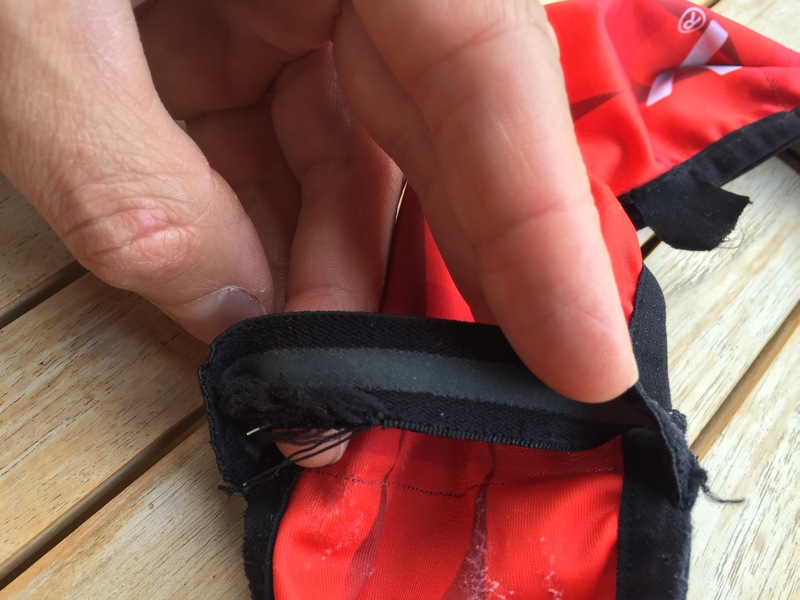 From my experiences so far, the pockets can hold food/gels, dog leads, a phone, a small first aid kit… You just have to remember the pockets are not zipped so a bit risky for high value items! 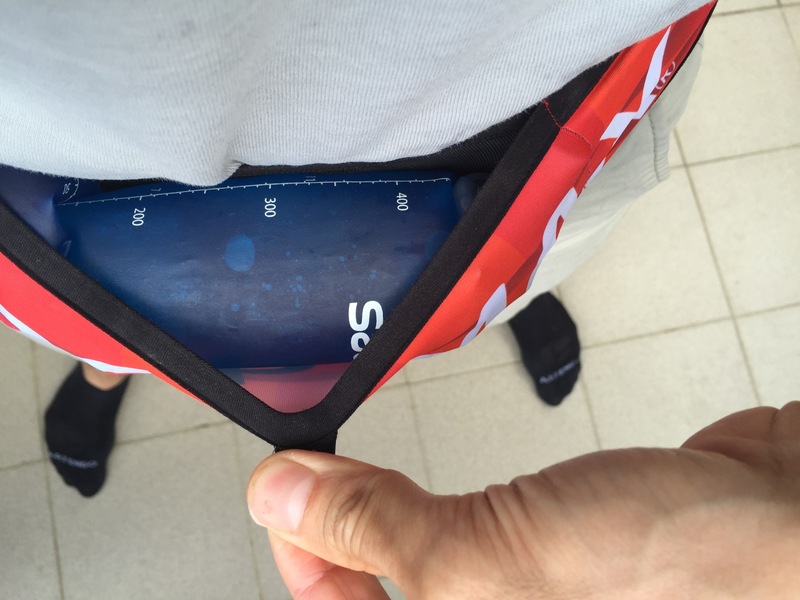 I have even found that the larger pocket on the front can take a soft flask up to around 400ml. The pole system works very well, with the loops easily pulled open to get the poles in, and the silicone strips stopping any bounce. When racing with this belt I used the pockets for extra gels, and a small first aid kit; on shorter runs I tend to slip this belt on to put the dog lead in. Dislikes? I question the durability of the pole loops, after a few long runs the loops started to loosen and fray. Sizing is tricky as well, and they seemed to come up a little small in my opinion. This is a simple narrow belt with an elasticated section to try and keep things comfortable. 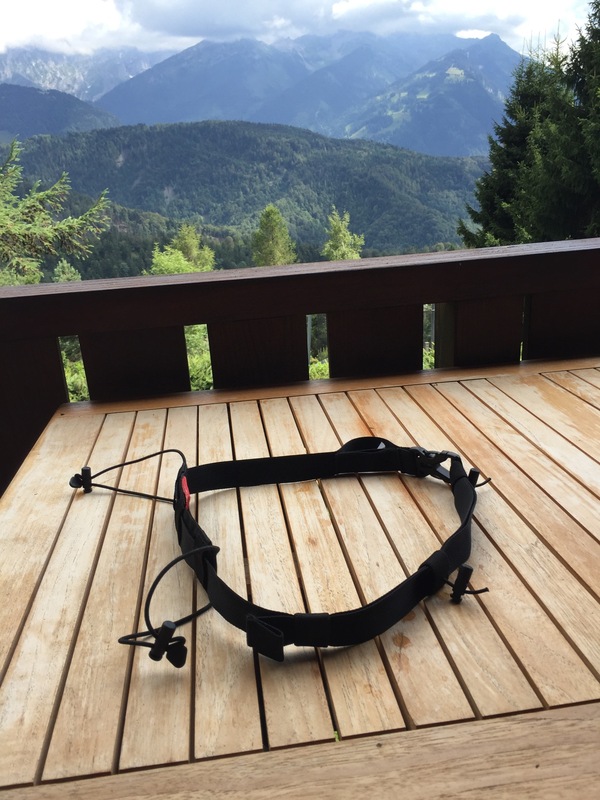 It contains 6 small loops you can add/take off for gel carrying, and 2 number holding toggles. The poles are held in what is advertised as a padded system, with two elastic loops with a toggle on each. The toggles make it easier to stow the poles, but do flap if not done up when the poles are in use. 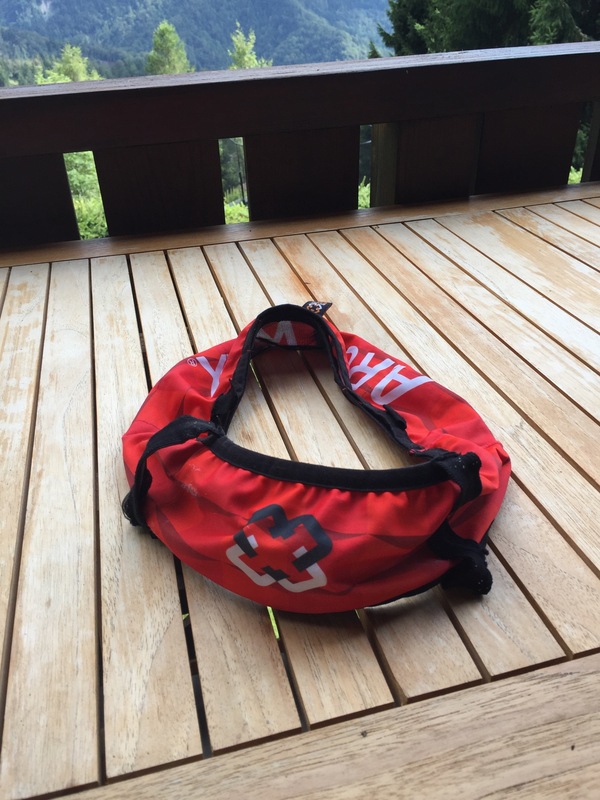 I like the idea of an integrated pole and number belt with the possibility of extra gel storage, however I prefer the pocket design on the Archmax to the elastic loops used here. So far, this belt has not been nearly as comfortable as the Archmax system, with more potential for chafe. Conclusion: In spite of the durability concerns, it is the Archmax belt I will be wearing for my next ultra, perhaps with safety pins to turn it into a number belt as well. I am convinced that there is a better way to be found here, and I look forward to seeing how the big manufacturers might incorporate better pole stowage in their kit. Perhaps someone out there already has the perfect solution- if so then I would love to hear from you!